Special Performances by Cherrytree Artists Including Sting, Feist, Far East Movement, Ivy Levan, Matthew Koma, Secret Someones, The Last Bandoleros and house DJ for the night, The Great Dave Aude and More! 2015 marks the ten-year anniversary for ground-breaking, pop-alternative label Cherrytree Records. In 2005, Martin Kierszenbaum took his dream of a musician-friendly haven for creative freedom, and with focused dedication, he and his tight-knit, committed Cherrytree staff went on to sign, develop and break some of the most maverick artists on the charts today including: Ellie Goulding, Disclosure, Robyn, La Roux, Far East Movement, RAC, Nero and LMFAO as well as chart-topping writers and producers including Michael Einziger (Avicii, Incubus, David Guetta) and renowned mixer Robert Orton (Lana Del Ray, Paramore, Charli XCX). 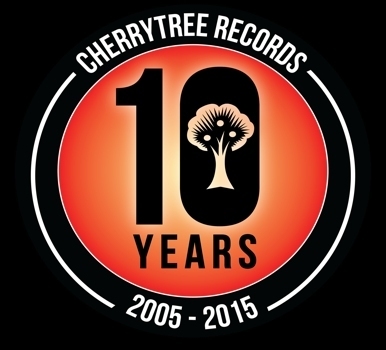 To commemorate 10 incredible years of progressive pop music, Cherrytree has put together the Cherrytree 10th Anniversary Musical Celebration. 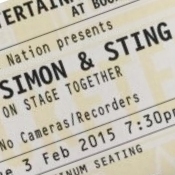 The one-night-only event on March 9th at Webster Hall in New York City will feature special guest performances and never-before seen collaborations from some of the label's most iconic artists including Sting and Feist alongside some of the best and brightest from the Cherrytree Class of 2015 such as Ivy Levan and Secret Someones. Understanding the importance of nurturing young talent and ensuring that students nationwide have access to music programs in their schools, Kierszenbaum and the Cherrytree Records team have selected VH1 Save The Music Foundation as the benefiting charity for the evening. The VH1 Save The Music Foundation is committed to ensuring that music instruction is a core component to a complete education. Since 1997, they have partnered with more than 1900 public schools in 231 school districts to give children the tools and confidence to excel in academics and in life. TICKETS: A limited amount of tickets will be available Wednesday, February 4th at 3pm EST and will go quickly, make sure to get yours in advance.